Infrastructure giant Carillion&apos;s woes appear to be showing no sign of disappearing after the listed group posted half-year losses of more than £1 billion today. The company, which recently won major government contracts to build part of the new HS2 high-speed rail network, said its pre-tax loss was £1.15 billion for the six months to June 30, 2017. Wolverhampton-based Carillion led the development of the Library of Birmingham and is also playing a key role in the £700 million Paradise project in the city centre. But today&apos;s announcement is the latest in a troubled few months for the group which saw shares fall by 70 per cent in one week following a profit warning in July. And earlier this month, the company announced a major shake up at the top with Richard Howson, the former chief executive turned chief operating officer, among those to leave. These latest losses are due to a series of restructuring charges, according to a report posted to the London Stock Exchange. This included a write down of £845 million related to support services contracts and a goodwill impairment charge of £134 million linked to construction activities in the UK and Canada. It has also made a fresh £200 million provision for support services contracts. 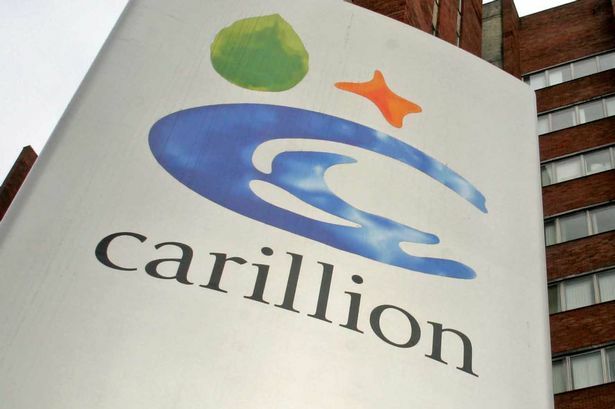 As a result, Carillion said that full-year results would be lower than current market expectations with total revenue expected to come in between £4.6 billion and £4.8 billion, down from £4.8 billion to £5 billion. Revenue for the half year was unchanged at £2.4 billion. Interim chief executive Keith Cochrane said: "This is a disappointing set of results which reflects the issues we flagged in July and the additional £200 million provision for our support services business that we have announced today. "We now expect results for the full year to be lower than current market expectations. "The strategic review we launched in July has enabled us to get a firm handle on the group&apos;s problems and we have implemented a clear plan to address them. "Our objective is to be a lower-risk, lower-cost, higher-quality business generating sustainable cash backed earnings. "In the immediate short term, our focus is to complete the disposal programme, accelerate our action to take cost out of the business and get our balance sheet back to a place where it can support Carillion going forward. "No-one is in any doubt of the challenge that lies ahead."